My Leo needy ways are going to have to be put on hold for 24 hours. Or more. Blog readers, Mom, Facebook followers, I’m going dark to protest SOPA. The Bloggess explained SOPA will make it possible for 50% of kittens to be strangled. Or something like that. That’s not really what SOPA is. But SOPA is like George Orwell’s 1984, or Ray Bradbury’s Fahrenheit 451 or Anne Coulter being President of the United States. It’s awful. So in the best interest of all of us on the internet who need to express ourselves openly and without any prohibitions, follow the link below. How else would you hear about my rants on Squinkies. Censor Squinkies, not the internet. I think she eats kittens. Scary. She's mean. 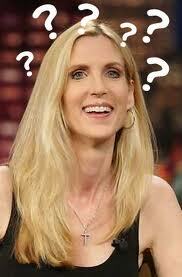 Ann Coulter is just horrible. Down with SOPA/PIPA!! 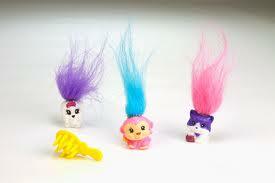 I agree with your protest of SOPA, but I take offense to your suggestion that we should censor Squinkies. My little girl loves them. Well, I definitely wouldn’t want to upset your daughter or any harmony in your home. Maybe we can just ban the commercial. Now they have zinkies. Mini squinkies. Apparently they weren’t small enough. I just went to the squinkies Web site and I saw that they seperate products by gender. Apparently girls are supposed to like pink and kittens and princesses. Is feminism dead? ha ha. Barking- you’re kidding right? Tim- I noticed that too. I know lots of little kids who love them. But does everything have to be so cutesy?